Hurt-Deitch is a registered nurse with more than 28 years of management experience in the healthcare industry including 11 years in CEO roles, most recently as Tenet’s El Paso and Rio Grande Valley Group CEO. Throughout her career she has focused on operational growth and expansion of healthcare services and facilities to achieve an integrated approach that meets the complex needs of communities and individual patients. A longtime leader in her field, Hurt-Deitch has extensive experience on professional and non-profit boards. She is on the Board of Directors of the El Paso Branch of the Federal Reserve Bank of Dallas. 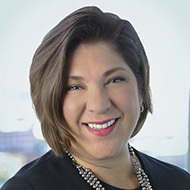 Additionally, she is currently chair of the Texas Hospital Association after serving on its board for several years, and is immediate past-president of the National Association of Latino Healthcare Executives. “I am thrilled to join the Sunflower Bank Board of Directors. As a longtime customer, I have watched the organization closely. I have confidence in the commitment that the bank and leadership team bring to El Paso as First National 1870 and Guardian Mortgage, and it’s exciting to be a part of this vision,” stated Hurt-Deitch.